Phil McNeill brings 25 years of mezzanine investing experience to Farragut Capital Partners. In 2003, he co-founded Farragut Capital Partners’ predecessor firm, SPP Mezzanine Partners, and has served as Managing Member and Chief Investment Officer of the SPP Mezzanine family of funds since that time. Mr. McNeill previously served as a Managing Director at Allied Capital Corporation, where he was co-head of Private Finance and Mezzanine and a member of the Investment Committee. Prior to joining Allied in 1993, he served as Vice President of M&T Capital Corporation, the SBIC investment division of M&T Bank. Earlier in his career, Mr. McNeill developed, founded, managed and owned a Boston-based retail and manufacturing company and was a founding director of City National Bank of Weatherford, Oklahoma. He currently serves as a mentor to inner-city youth entrepreneurs and co-founded the Network for Teaching Entrepreneurship (NFTE) Adopt-a-Class program in 2001. Mr. McNeill holds an M.B.A. from Harvard Business School and a B.S. in Finance, Accounting, and Law & Public Policy from Syracuse University. Cabell Williams serves as Senior Partner at Farragut Capital Partners and is a Partner at Williams & Gallagher, LLC, a boutique private investment firm. Prior to founding Williams & Gallagher in 2004, Mr. Williams served as a Managing Director at Allied Capital Corporation. From 1991 to 2004, Mr. Williams at first led and later co-managed Allied's Mezzanine and Private Finance Group. Between 1988 and 2004, Mr. Williams served on Allied's Investment Committee, where he was responsible for reviewing and approving all of the firm's investments. Prior to 1991, Mr. Williams ran the company's Minority Small Business Investment Company. He also founded Allied Capital Commercial Corporation, a real estate investment vehicle. Over his 23 years at Allied, Mr. Williams served on the board of directors of various public and private companies. Mr. Williams holds a B.S. in Business Administration from Rollins College. 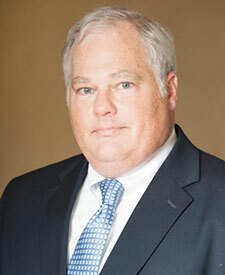 Alan Cuthbertson joined Farragut Capital Partners in 2013. He was previously with MCG Capital Corporation and has fifteen years of experience in private debt and equity investing in the lower middle market. Alan's private market experience includes investments in business services, industrial services, healthcare, distribution, and light manufacturing companies. Prior to MCG, he was with The Advisory Board Company, a healthcare-focused research and consulting firm. Earlier in his career, he held investment banking roles with Legg Mason and NationsBanc Montgomery Securities. Alan has a B.A. in Economics from Washington & Lee University. Rob Hagerty joined Farragut Capital Partners in 2012 as an Associate. While attending law school in Richmond, Virginia, he completed internships in private equity and investment banking at Boxwood Capital Partners and Marriott and Company. He holds a B.S. with Special Attainments in Commerce from Washington and Lee University and a J.D. from the T.C. Williams School of Law at the University of Richmond, where he was also enrolled in several M.B.A. classes at the Robins School of Business. Connor Davis joined Farragut Capital Partners in 2019. He was previously with Stout Risius Ross, where he performed analyses related to security formation, determination of transaction fairness and adequate considerations for corporate transactions including mergers, leveraged buy-outs, and leveraged recapitalizations involving employee-owned middle market companies. Mr. Davis has a B.A. in Economics from the University of Virginia. Justin Zilai joined Farragut Capital Partners in October 2016 and serves as Fund Controller and Business Manager. He has more than 18 years of experience in fund and corporate accounting for Small Business Investment Companies, Business Development Companies and Asset Management Companies. Prior to joining Farragut, Mr. Zilai worked as an accounting and SEC reporting specialist for American Capital where he focused primarily on preparing the quarterly and annual financials for the company’s subsidiary American Capital Senior Floating Rate Fund (ACSF). Prior to American Capital, Mr. Zilai served as the Manager of Portfolio and SBIC Accounting for four years at MCG Capital Corporation. Earlier in his career, he held various roles in mutual fund accounting and tax in Princeton, NJ for Merrill Lynch, State Street and BlackRock. Mr. Zilai has a B.A. in Accounting from Muhlenberg College in Allentown, PA.